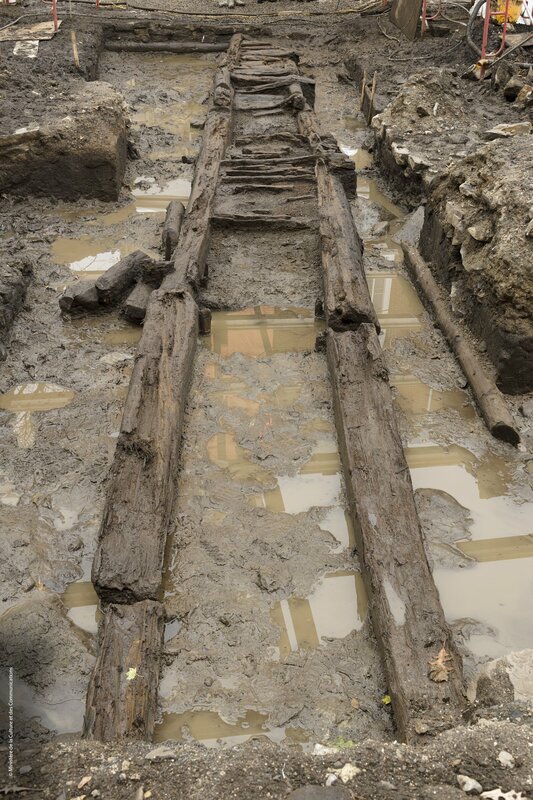 Archaeologists have discovered the remains of a 17th century defensive fortification in Québec City that was the first reinforced wood palisade in North America. 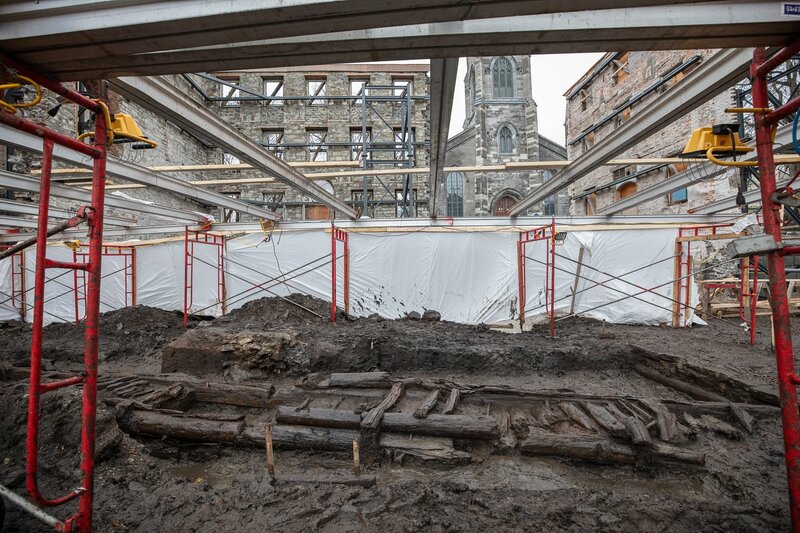 The structure was unearthed by archaeological contractors during the renovations of a building on Sainte-Ursule Street in Old Québec. A construction worker spotted a small piece of wood sticking out of the sand below street level. 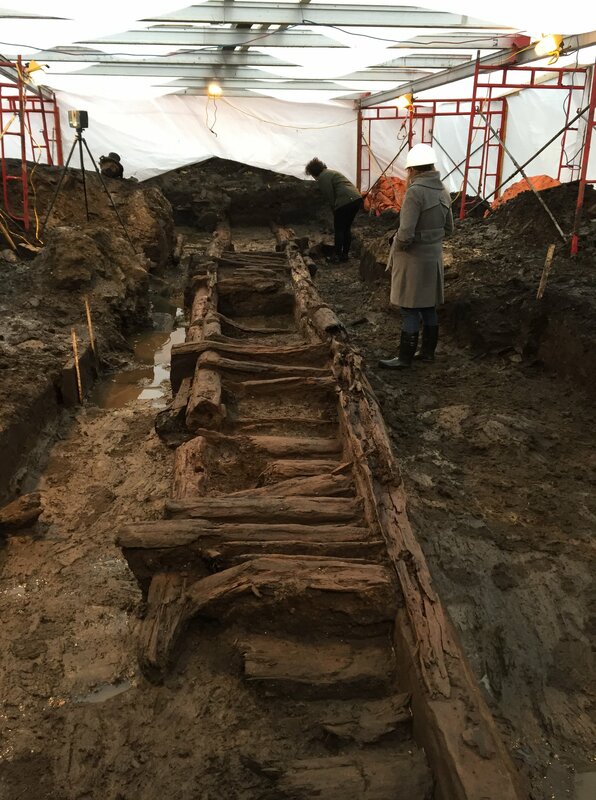 From that small fragment excavation revealed a tract more than 65 feet long of a thick wooden structure. The remains of the palisades are in extraordinary condition. 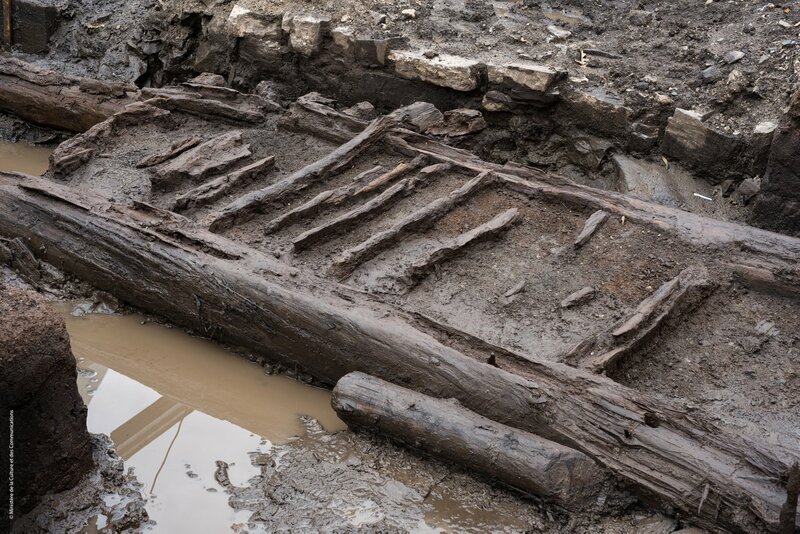 The waterlogged clay soil preserved the organic remains for 325 years. The rempart de Beaucours was built in 1693 to protect Québec City from artillery attack. It replaced a wood stockade built in 1690, the first landward defenses to encircle the city. The stockade ran between 11 small masonry redoubts for gun batteries and artillery defense. It was built under pressure of an invasion from England’s Massachusetts Bay Colony and given its limitations, it would perform admirably during the Battle of Quebec in October of that year. It withstood a six-day siege leaving the English forces soundly spanked. That victory was at least in part due to good luck, however — English commander Sir William Phips made a bunch of unforced errors — and as a consequence of the close call Governor-General Louis de Buade de Frontenac commissioned Ingénieur du Roi Josué Berthelot de Beaucours to build a rampart strong enough to withstand a frontal assault from full English cannon, strength that Phips had not deployed. Construction began in summer of 1693 and 500 men (the city’s population was between 2,000 and 3,000 at that time) built two wooden walls 13 feet high. The walls were anchored in a trench and the space between them filled with sand. That’s what allowed them to absorb the impact of heavy artillery. The tops where fitted with pointed wooden stakes. The palisade was replaced during another period of high tension with Britain. In 1745, the city got new defensive walls, these ones made of stone. The masonry walls still encircle the Old City today, part of the most complete set of city colonial fortifications preserved in North America. There are elements ranging in date from the founding of Quebec in 1608 until the British garrison’s departure in 1871. Beaucours’ palisades were known from maps and historical accounts, but no remains of them have been found before. The discovery fills an extremely significant gap in the evolution of the city’s defenses. A large central beam will likely have to be hauled out with a crane, said [archeologist Jean-Yves] Pintal. Once the wood has been dried and stabilized, the reconstructed palisade will go on display at a location yet to be determined. This entry was posted on Wednesday, November 7th, 2018 at 11:48 PM	and is filed under Modern(ish). You can follow any responses to this entry through the RSS 2.0 feed. You can skip to the end and leave a response. Pinging is currently not allowed. Since the original attack was prior to the 1707 Acts of Union that formed ‘Great Britain’ from the kingdoms of England and Scotland, ‘English’ sounds appropriate. Inevitably, because if they had won they’d have been referred to as “American”.